Pesaro is an Italian town of 94 875 inhabitants, capital with Urbino of the province of Pesaro and Urbino in the Marche. It is the second largest municipality in the region, after Ancona , and 51º nationally. Overlooking the sea and crossed by the Foglia river, Pesaro is a seaside and industrial resort located between two coastal hills: the San Bartolo and the Ardizio; its historical center is rich in monuments, especially from the Renaissance period. The city has an urban area that extends beyond the municipal boundaries and incorporates several other municipalities such as Montelabbate, Vallefoglia and Mombaroccio. It is known by the nickname of Città della Bicicletta, due to the vast network of cycle paths extending over its territory (which makes Pesaro the first city in Italy for the number of urban journeys by bike, on equal merit with Bolzano); and with that of Città della Musica, due to the strong link still present with the Pesaro composer Gioachino Rossini and his many works. In 2017 he was recognized by UNESCO as a Creative City for music, having as its motivation for the candidacy the commitment to disseminate, promote and revisit Rossini music. Also in 2017, Pesaro has also received the title of European City of Sport shared with the cities of Aosta, Cagliari and Vicenza. 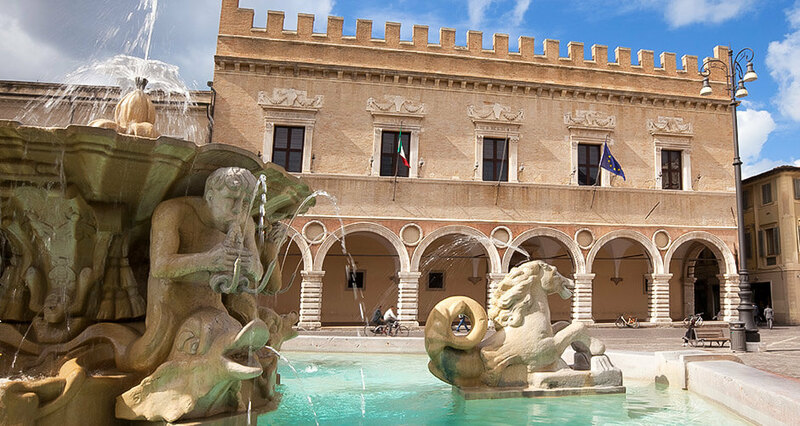 In Pesaro, important events take place every year in the Italian and international cultural scene, such as the Rossini Opera Festival and the International New Cinema Exhibition. Do you want to travel with your family to get to Pesaro? Do you like adventure and freedom and you want to reach the destination Pesaro with your moto ?